There are some beautiful, pristine beaches on St. John that are perfect for relaxing in paradise. From lush forests to crystal clear blue water and white sand, the landscapes around the edges of the island are breathtaking! Soak in the glittering sunshine as you lounge on a beach towel or get in some underwater activity with a snorkeling session. Whatever outdoor activity you choose, the beaches of St. John are waiting for you! When deciding which beach to go to, consider Francis Bay St. John as one of your options. Offering excellent swimming and snorkeling, Francis Bay is one of our favorite locations for a day in the sand and sun. Here are a few more reasons why you should choose Francis Bay St. John as your Caribbean beach destination. To discover more options for your St. John beach day, read our Beach Guide! It includes North Shore, South Shore, and East End beach options, depending on your location on the island. Discover the beaches nearest to your CimmaronStJohn vacation home, or explore your other options! Francis Bay St. John is one of our favorite North Shore selections. The clear water at Francis Bay St. John makes it a great location for swimming and snorkeling. Even from the shore or by simply wading, you can often see sea turtles, rays, and fish going by. One of the best and most unique water activities to enjoy at Francis Bay St. John is kayaking. There is a great kayaking route to Whistling Cay, which is one of the best snorkeling locations around the island. If you’re looking to stay closer to shore, there are also some great snorkeling spots just a few yards from the sand. Discover a mix of soft and hard corals along with some colorful fish, sea turtles, and even manta rays among the protective seagrass. Blue tangs, parrot fish, eels, and reef squid are a few other underwater creatures you might discover during your snorkeling escapade! Avoid the Crowds at Francis Bay! One of our favorite parts about this beach is the lack of crowds. You will enjoy more solitude at Francis Bay St. John compared to other, more popular beaches on the island. Also, the beach is a little hidden from main routes and a further drive from Cruz Bay. This makes it somewhat of a private gem. There are also plenty of trees for shade, and the expansive sandy stretch provides ample room for visitors to spread out. Join the locals on this calm, authentic slice of paradise for a relaxing beach day. Another great aspect of Francis Bay St. John is the half-mile hiking trail that runs through dry-scrub forest and down to the beach. Enjoy this easy trail that loops through a variety of terrains and leads to your ultimate beach destination. Traverse past the Francis Bay Estate House and through a salt marsh loop, taking in the impressive greenery. Then, once you’ve reached the sand, enjoy a day in the sun! 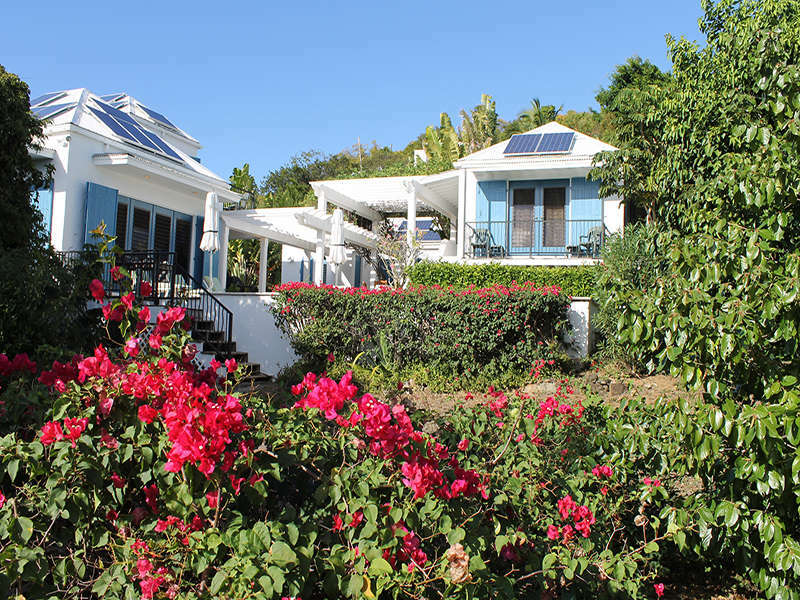 When you book your island stay in a CimmaronStJohn villa or condo, you can expect the vacation of a lifetime! See you soon in paradise!